A Hero Prepares to Find Herself in "Tomb Raider"
From Warner Bros. Pictures and Metro-Goldwyn-Mayer Pictures comes Tomb Raider starring Oscar-winner Alicia Vikander in the story that will set a young and resolute Lara Croft on a path toward becoming a global hero. Lara Croft, its tomb-raiding archaeologist heroine, is known around the world and has been for the more than 20 years since her first video game became a global smash. The character is loved by gamers everywhere but is also recognizable to millions who have never even picked up a controller. 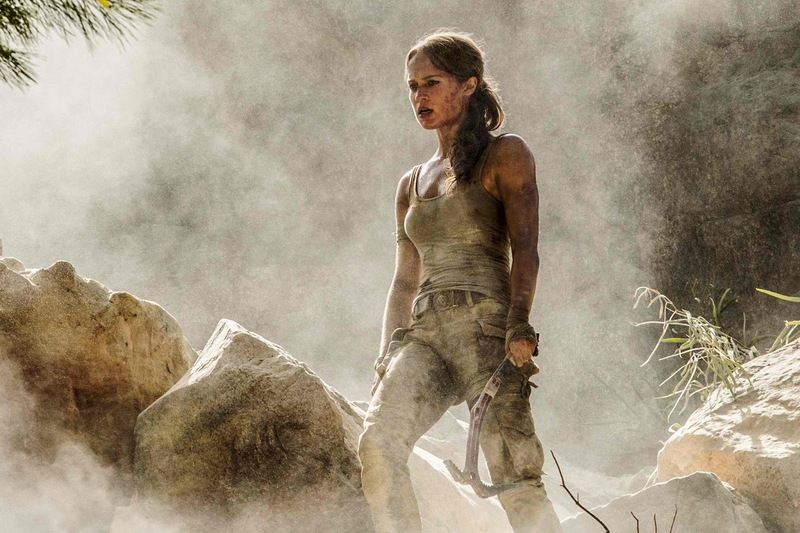 In this new Tomb Raider big-screen adventure, Lara’s boldness remains from her previous videogame and film incarnations, but the filmmakers are working to bring us a side of Lara Croft that we have never experienced on the big screen – an icon who is just finding her feet. That realistic vibe proved a draw for director Roar Uthaug, the Norwegian filmmaker who balanced intimate character work with enormous action set pieces in the Scandinavian films The Wave and Escape. 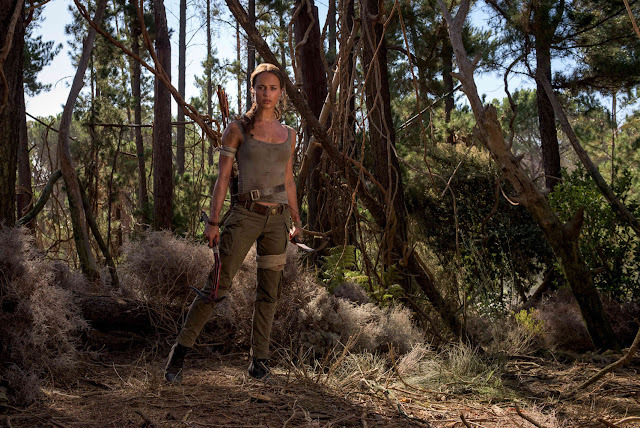 “This is a more down-to-earth Lara Croft than we’ve seen before on film, which appealed to me,” he tells us. The filmmakers assembled a wealth of talent around Vikander, casting Dominic West, Kristin Scott Thomas, Walton Goggins and Daniel Wu in key roles. They hired Oscar winner Colleen Atwood to oversee the costumes and deliver Lara’s signature look, brought aboard Mad Max: Fury Road’s Junkie XL to create the music and arranged an international shoot that took the production from the wild coasts of South Africa to the heart of England. The film’s production began on the heels of the 20th anniversary of the wildly popular videogame franchise from Square Enix, Crystal Dynamics and Eidos Montreal.